Peter Currie, our Assistant Director, attended his last Committee Meeting last night before standing down from his role at our forthcoming AGM. Peter has kept us all in the loop for years with texts and messages about ride-outs and events. 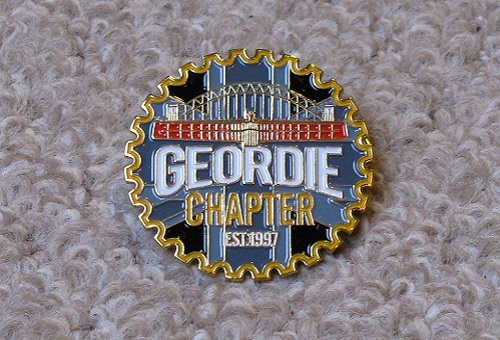 Peter has had a long and illustrious career on the Geordie Chapter Committee, being the Assistant Director, Activities Officer, Membership Officer and Assistant Head Road Captain at different times: he’s been a real asset to the chapter. Peter will continue his role as Road Captain on the Road Crew, scooting about on his Softail Slim. We will miss him at our future Committee Meetings!